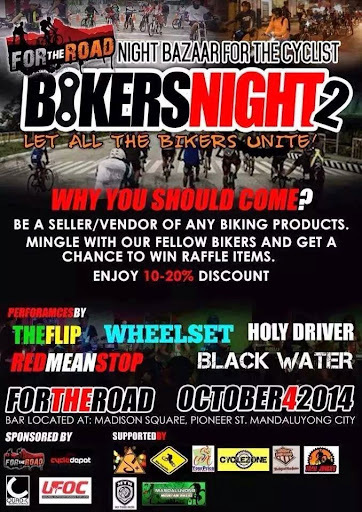 After a sucessful biker's night alot of bike enthusiast will gather again. Bring all your kwento and mingle with us @pioneer madison square in Mandaluyong. You can also sell bike stuff and buy some too. This is truly a night of full bike shopping spree... see you!! !